One of Jean-Marc's major strong points is the fact that he is based in Bordeaux. This enables him to follow the situation on site closely, from June to September, during the vines' ripening process, then during harvest. He tastes the wines when they are very young and not yet blended. He anticipates their quality and discovers the most talented winegrowers. Indeed, "a wine's potential depends on what happens in the vineyard". In March his judgment of the new vintage is strong and very well documented. During the En primeur campaign, full details are published in French. 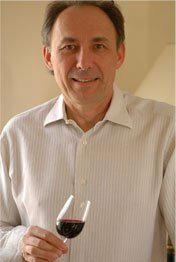 For the English readers he publishes a detailed report which highlights the fundamentals of the vintage and also his scores of more than 500 wines. After the bottling he keeps on tasting and judging the wines to inform his readers about their development. The reports on the primeur tastings published before you subscribed will not be sent by E-mail. These are readily available to you on my website. Your log-in identifiers are sent when you originally subscribe, never when you re-subscribe. You can recover your password automatically using the “Forgot your password?” facility. Your username is your E-mail address. Click on the site logo often to refresh your links and don't forget to clear your browser's cache memory so that you can see the latest updates. (on-line access to everything published by Jean-Marc Quarin). his Bordeaux Futures and his unique 35,000 wine reviews database.